Distressed elderly residents were forced out of their failing care home in the middle of the night when it was shut over safety fears. Some were dehydrated and crying in agony as they waited outside up to seven hours for belongings to be stuffed in bin bags and ambulances to arrive. The Old Village School Nursing Home in Bedfordshire was closed by the Care Quality Commission (CQC) on Friday night after inspectors uncovered appalling neglect that put residents in immediate danger. But the watchdog only obtained a closure order from magistrates at 5pm that evening and the home had to be evacuated by midnight. 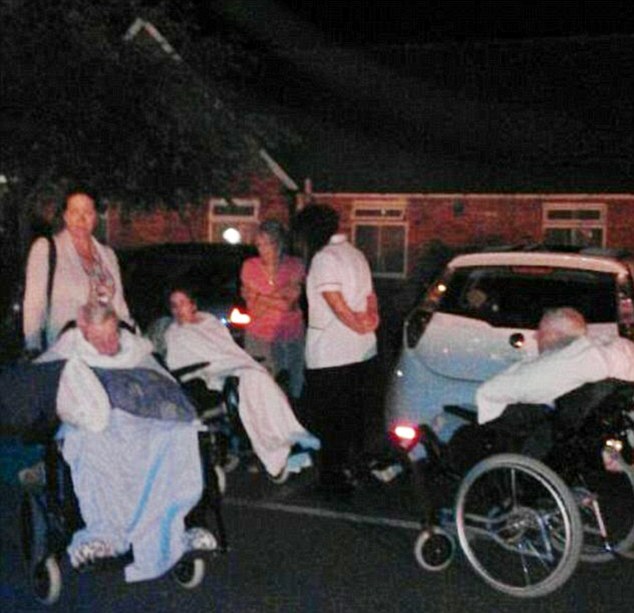 The 57 residents – including younger adults with brain injuries – were moved to nearby care homes in ambulances. Distressed elderly residents were forced out of The Old Village School Nursing Home in Bedfordshire when it was shut over safety fears.